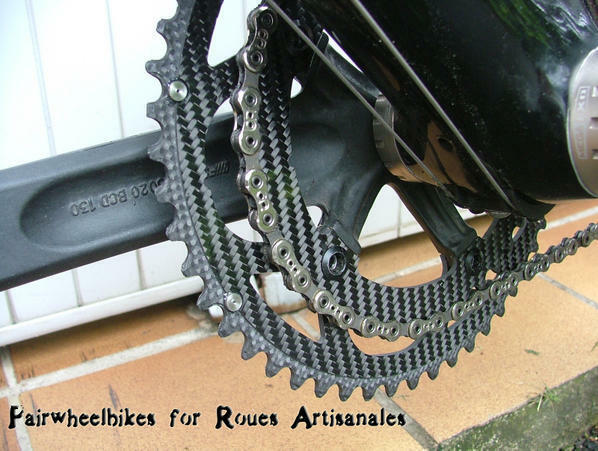 Fibre-Lyte carbon chainrings Roues Artisanales got from Fairwheelbikes have been used for a bit more than 35h meaning approximately 1200kmn, races included (from national to 1.2 level) mainly on the big ring. First observation; the wear isn’t visible and the teeth are still in excellent shape. 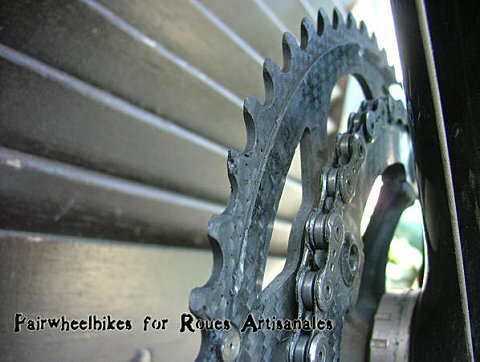 Contrary to what I told in this first article, the lack of stiffness compared to normal chainrings isn’t perceptible. It’s actually a huge lack of stiffness from the frame that bends easily even under small loads. Then, I stood the shifting qualities were improved, actually this improvement is brought to a new chain. Indeed, I switched from a FSA alloy chainrings/Record chain setup to a Fibre-Lyte/Record CR (5.9mm) setup. 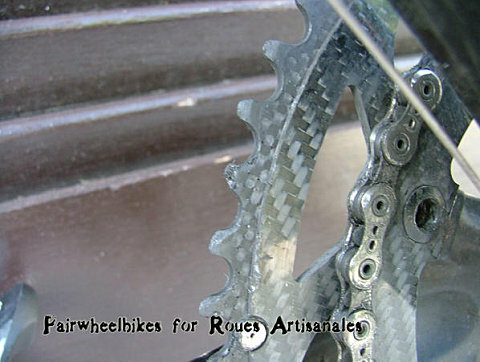 I could notice that the shifting improvement was caused by this thinner chain since mounting back the alloy chainrings while keeping this thin chain made very quick chainrings changes, quicker than with the carbon chainring/Record CR chain setup. 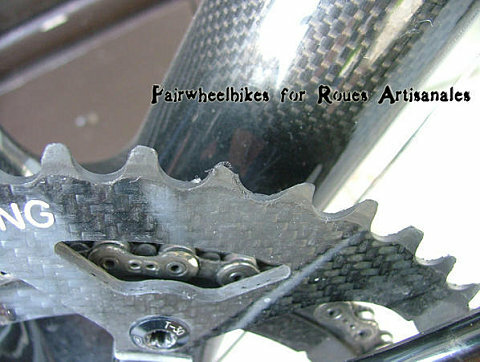 The First issue with the big chainring occurred some days ago because of a damaged tooth. According to Martin from Fibre-Lyte, the problem is caused by the chain that has loaded the teeth on its top instead of being one side or the other. The strain has been concentrated at the top of a tooth instead of the whole tooth. It’s a minor problem with no impact on the safety. It can be solved by cleaning the break up with some oxide paper/ sand paper to make the tooth smooth. Next update about them in some weeks.